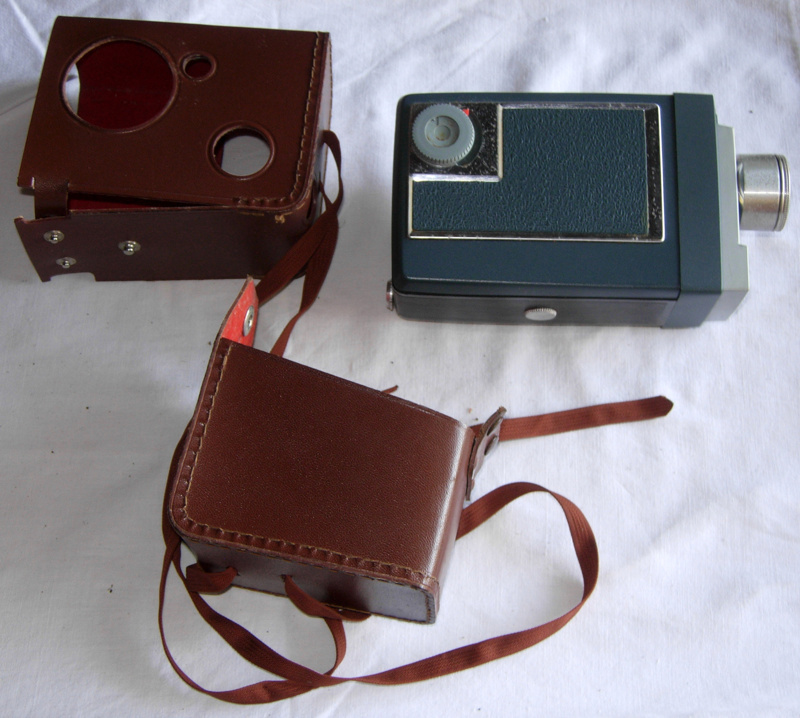 The Kodak Movie Camera (Automatic 8) in brown leather case with strap. Blue plastic casing. 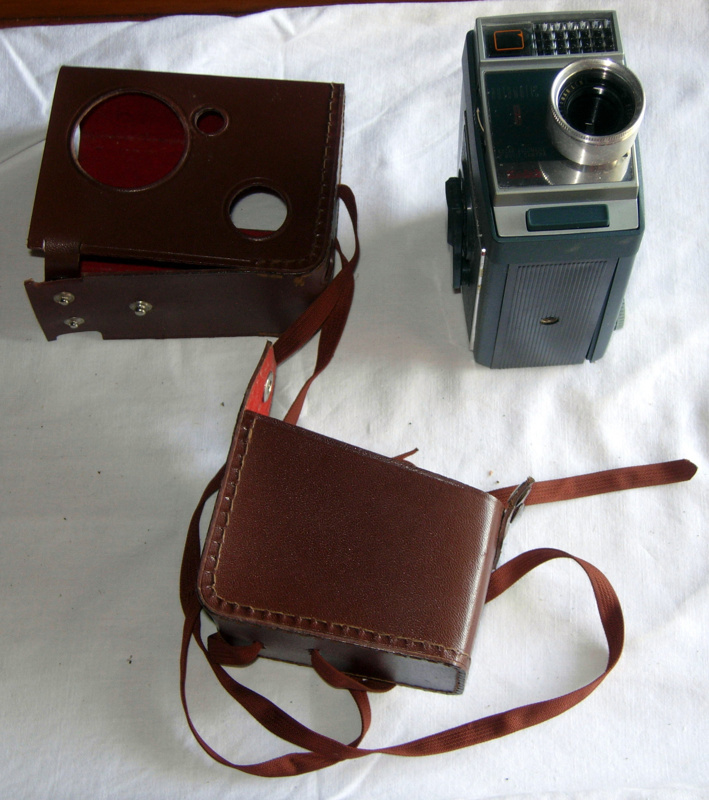 Marked Kodak Ectanar lens. Blue plastic winding handle - Stamped A11070. 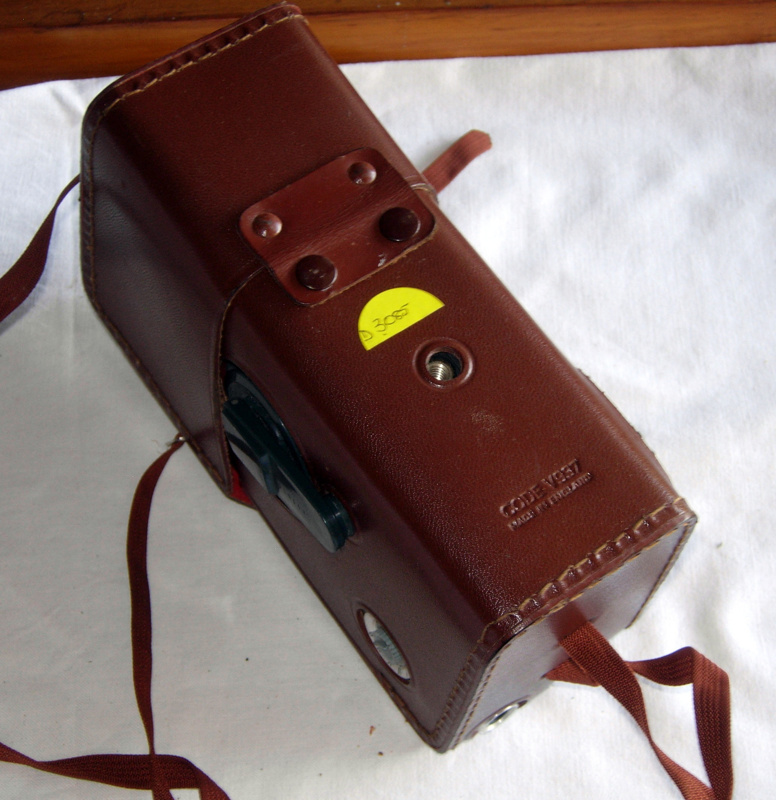 Case is stamped V937 under flap.